NUI Galway is hosting the European University Association (EUA) Annual Conference 2016 ‘Bricks and clicks for Europe: building a successful digital campus’ from 7th to 8th April 2016. This is the first time that the EUA conference has been held in Ireland and President of Ireland, Michael D. Higgins, will deliver the opening address. With 850 members across 47 countries, EUA is the largest organisation representing universities in Europe. 17 million students are enrolled at EUA member universities. As the voice of Europe’s universities EUA supports and takes forward the interests of the European higher education sector as a whole. 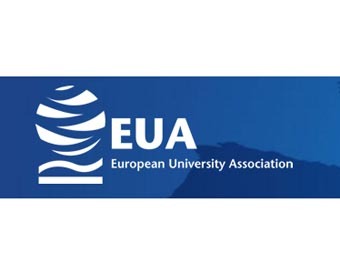 The EUA Annual Conference will explore how Europe’s universities are developing comprehensive “bricks and clicks”strategies and how they are tackling the challenges involved in becoming more interactive and interconnected. Of specific interest to the Irish higher education sector will be sessions on ‘University mergers in Europe’ and ‘Galway as a Digital University’. The speaker line-up includes: Entrepreneur in Residence at NUI Galway, student Edel Browne, Regina Moran, CEO of Fujitsu UK and Ireland and Lord David Puttnam, Chair, Atticus Education, and former Chancellor, Open University UK as well as many other leaders of European universities and representatives from the European Commission.